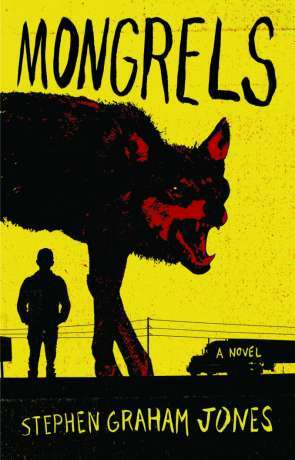 Mongrels is a book that grips you by the jugular right from the start, a bit like the way a werewolf might. Funny enough that's what Mongrels is all about - a family of werewolves who are forced to travel around the USA avoiding the authorities and others who take a dislike their kind. It's a country that shuns them at every turn and we see this journey, this forced isolation, from the viewpoint of a young boy as he grows up. His family consist of aunt Libby and uncle Darren who do their best to provide for each other and to hide their other side from others while trying not to deny who they are. This young boy doesn't know whether he will become a werewolf, whether he will be thrust into the complex world of the shapeshifter or lead a more normal existence. He of course suspects the truth and it's only a matter of time until he knows for sure. Mongrels is a powerful tale, it has a gritty, almost subversive dialogue that allows us to see through the thin veneer between the world we know and the world the author writes about. A side to America that those newly arrived will likely know all too well. Discrimination, fear of the different and the unknown, the world of those kept at arms length, mistrusted and ostracised. On the other side though is the fact that this family are a group of criminals who at times seem to relish their differences and don't have the same set of values that suburban America has. This of course raises the old question of nature or nurture. Are they a product of environment, or would they be the same if treated differently? Regardless should we force our own standards and understanding on others as most societies around the world like to do? The author does a wonderful job of cloaking the "truth" within tall tales that are full of metaphor and allusion, told from mouths of highly unreliable narrators. Tales such as the man who makes silver bullets for werewolf hunters, how a simple tick can be more dangerous to a werewolf than such a bullet or how sometimes the hunted become the hunters. Witnessing this all from the eyes of the child strengthens the unreliable nature and it's wonderfully rewarding trying to form judgement on what is and isn't real. It's not just a coming-of-age book, but also a somewhat warped road trip around America, a road trip through the seedier side, witnessing America from the fringes of society. The story meanders through the country and the prose meanders at times too, skipping to interesting little anecdotes and tales about werewolves, adding flesh to the bones of the authors take on this mythology. I loved this style of writing, it fits in perfectly with the story even if it does raise more questions than it answers. Mongrels is astounding, it carries you along this dirty, rough journey and fills you with tall tales told from the mouths of colourful, imperfect characters. Within all this harshness are moments of tenderness and a prose that skips along the edge of poetic. Different in the best sense, Mongrels will make you think at the same time as making you wonder, gritty and rewarding. Written on 24th June 2016 by Ant.